The Sala Terrena is a vast rectangular hall divided into a nave and two side aisles by two rows of columns. People entering the school would pass through this room and sometimes stop awhile. It was not just an entrance hall; it was also used for liturgical services, as is indicated by the presence of the large altar with the monumental statue of St. Roch, sculpted by Girolamo Campagna at the beginning of the 17th century. 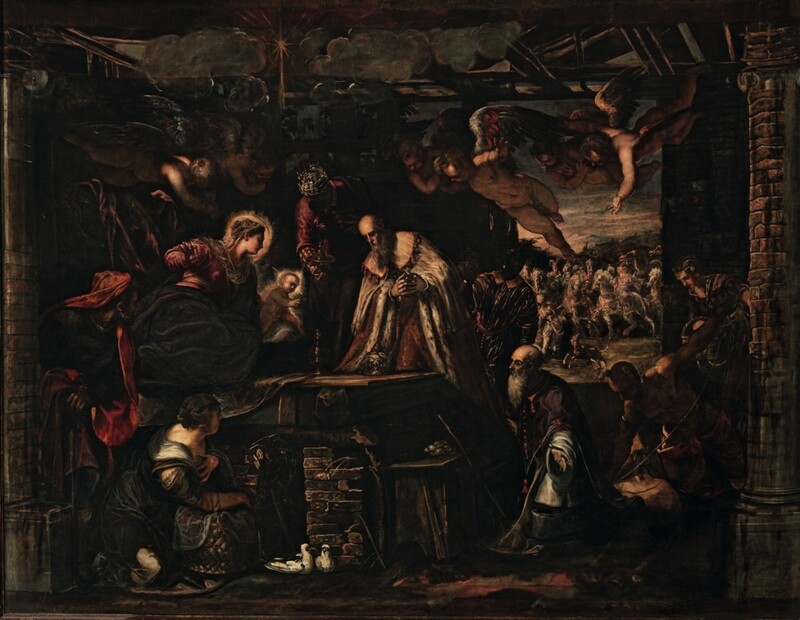 Having completed, in 1581, the canvases for the Sala Superiore, Tintoretto was busy elsewhere, notably working on prestigious commissions for the Doge’s Palace. 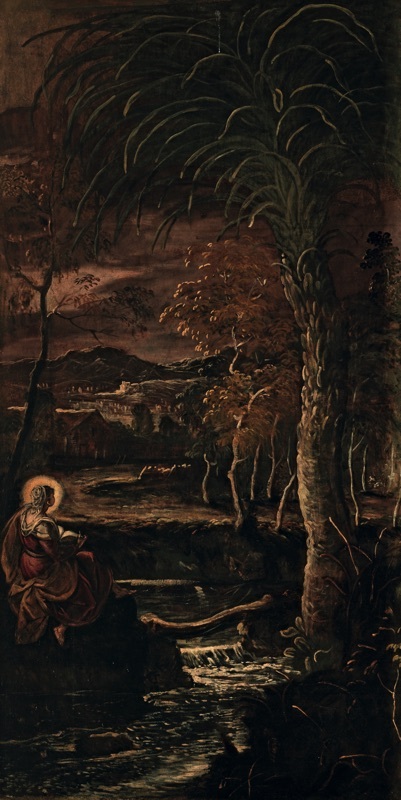 None the less by 1982 he had returned to the Scuola di San Rocco to execute the paintings for the Sala Terrena. 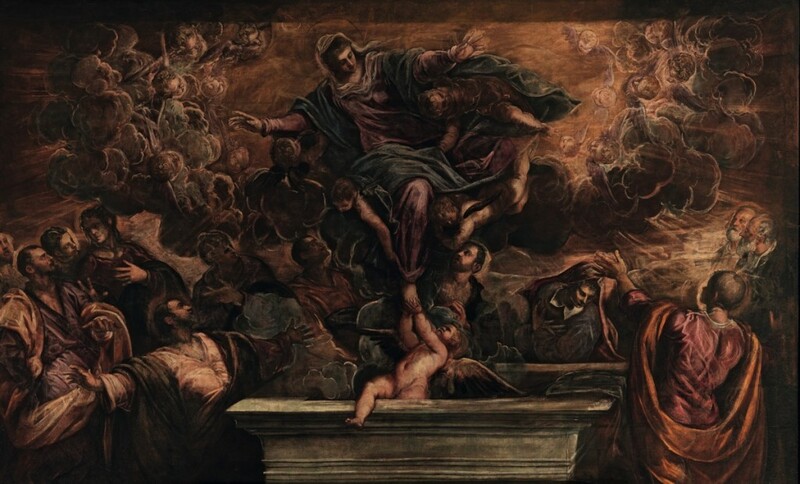 They are the last works done by Tintoretto for the Scuola between 1582 and 1587, sometimes with the help of his assistants; though it should be said that Jacopo’s vigour and mastery can be identified in most of them. 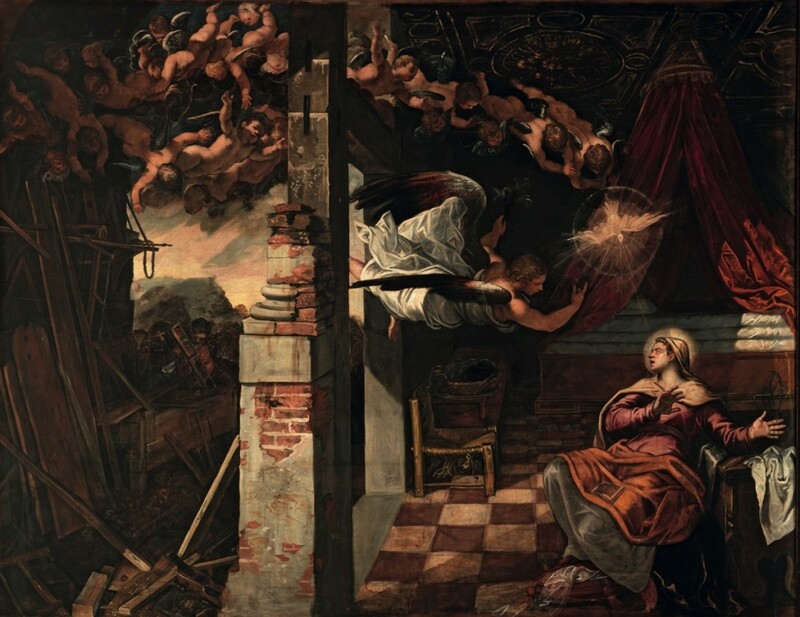 The eight large canvases on the wall show episodes from the life of the Virgin and the childhood of Christ. 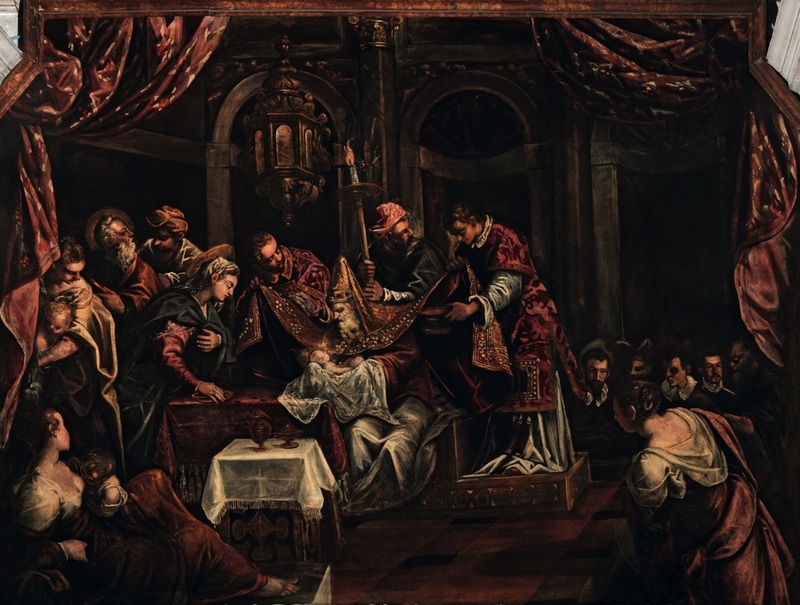 The Circumcision was placed in its present position in August 1587. 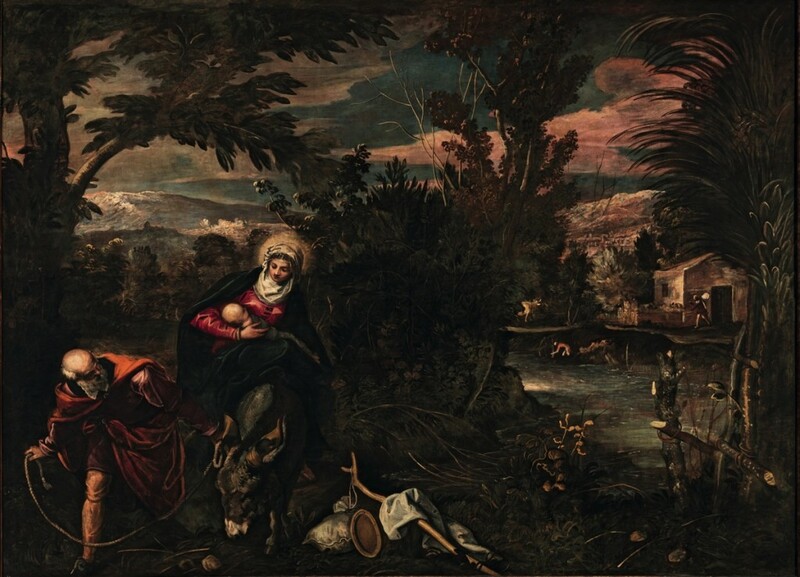 The considerable input of his assistants, particularly of his son Domenico, tends to dilute somewhat the power of Tintoretto’s creativity with Mannerist and conventionally descriptive elements. 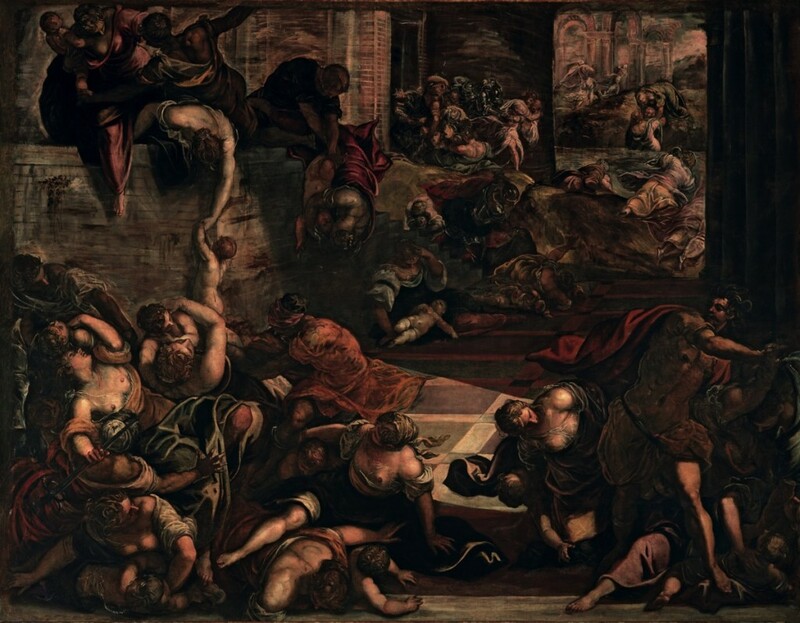 It was the last painting done by Tintoretto for the Scuola and completes the decoration of the principal rooms, a tour de force offering us a uniquely dense and fully realised exposition of the imaginative tension of Jacopo Tintoretto’s art over the last two decades of his creative life.